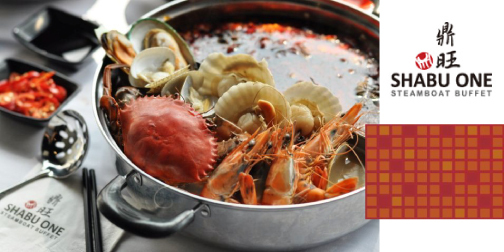 35% OFF All-You-Can-Eat Steamboat Buffet + Free Flow of Drinks & Desserts @ Shabu One (Lot 10) for only RM20nett instead of RM30.80nett! Visit RM20 All-You-Can-Eat-Steamboat-Buffet (PORK FREE) @ Shabu One, Lot 10 now! * p/s LIKE our Facebook to find more GREAT coupons!